Yo, traveller looking for epic action-adventure anime! 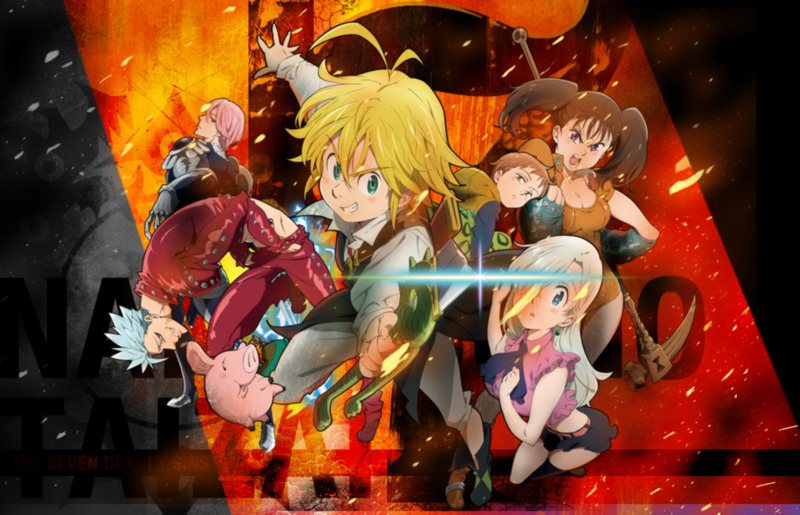 I'm sure that you'd totally agree when I say that Nanatsu no Taizai (The Seven Deadly Sins) is one of the best action-adventure anime out there, right? Well, it surely is! And so, with its mainstream success, it's conquering the world bit by bit, one episode at a time. Which in turn makes anime fans everywhere search for more titles similar to it. So, let's end the chatter and start venturing into the world of thrills and exciting perils. The Seven Deadly Sins is a group of highly-dangerous criminals, well-renowned for their attempt to overthrow the Kingdom of Liones. The Holy Knights have managed to scatter them, but year after year, the Holy Knights are still on the move to capture them. Years later, a princess of the kingdom, Elizabeth, escapes to look for the Seven Deadly Sins. 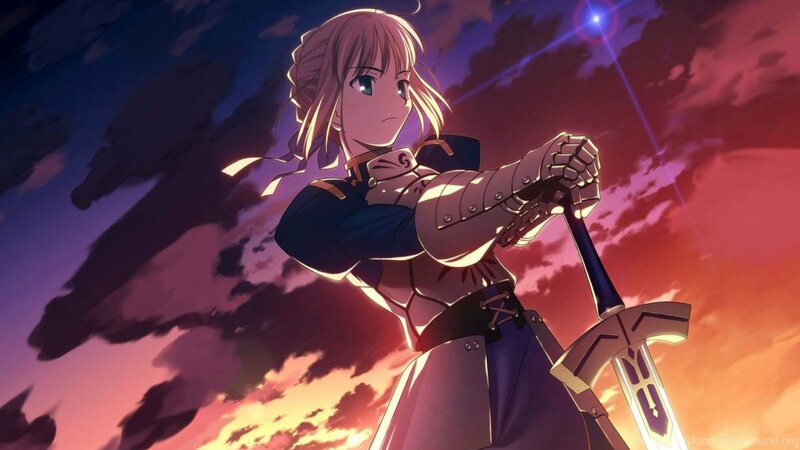 Privy to the fact that it's the Holy Knights who are the real threat to the kingdom and the world, Elizabeth risks her life to find the Sins no matter what, as they are the only ones with the power that can match the corrupted Holy Knights of the Kingdom. The Story: Far far away, in a world abundant with magical energy, being a wizard in a guild is one of the most popular trades. Given the volatility of the wizardly trade, lots of guilds exist, ranging from good ones to purely bad ones. And so, chaotic problems and mishaps are still bound to happen, much to the distress of the magic council. Meanwhile, in the town of Magnolia, the craziest wizard guild of all stands proud whilst gradually increasing its notoriety in both noble and troublesome ways. This guild is Fairy Tail, and it's the guild a young lady named Lucy Heartfilia wants to join no matter what. Luckily, with the guidance of the stars and a certain twist of fate, Lucy Heartfilia meets Natsu Dragneel—the very own Salamander of Fairy Tail. The Similarity: The resemblance of Fairy Tail with Nanatsu no Taizai is quite strong. 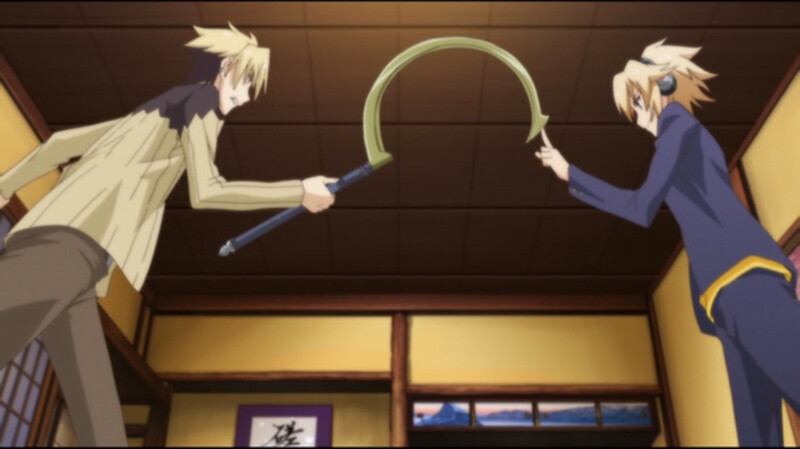 First, both anime take place in magical worlds conflicted by the balance between good and evil. 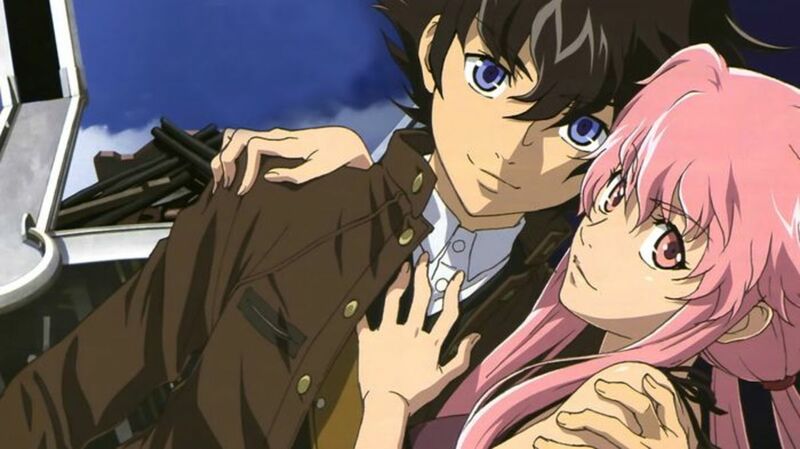 Second, both are heavy with action and comedy and sparsely sprinkled with drama and romance. Even though Fairy Tail is more about the comedic side instead of the serious side, it still does pretty well in executing its climatic moments when it counts. And lastly, both are centered around the same themes that make them both popular and awesome. Both have found mainstream success because of this. If you are a fan of this series, you should check out this article on the 10 strongest Fairy Tail characters. 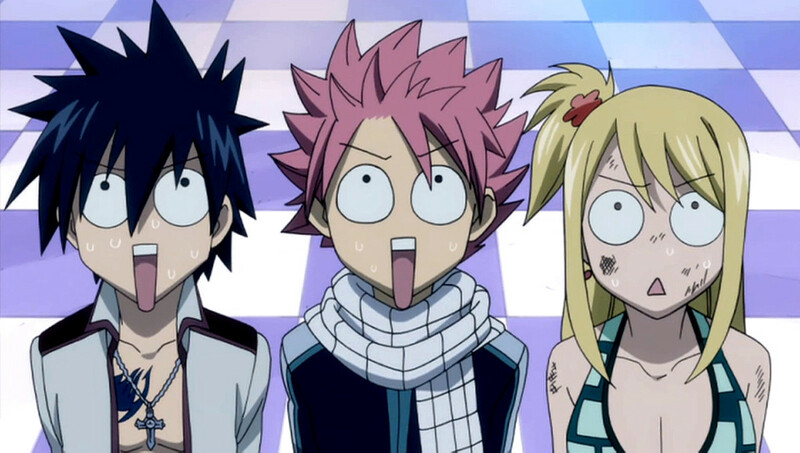 The author of the original manga, Hiro Mashima, has stated that Fairy Tail has lasted longer than he thought it would and imagined the story to be more of a series of adventures rather than a continuing epic. The Story: On the island known as Garage Island, citizens live in peace not knowing of the widespread chaos happening throughout the world. A boy named Haru Glory lives there with his sister, and they spend their days in bliss and tranquillity. One day, Haru fishes up a weird animal in the ocean and decides to keep it as a pet. That weird animal is Plue—the bearer of the holy bring, Rave, and the only one capable of tracking its scattered pieces. Haru doesn’t know this, until one day a strange old man comes to take back Plue to continue the fight against evil. After Haru and the old man get acquainted and befriend each other, a bad guy from Demon Card shows up to steal the rave and put an end to the old man. The old man is actually the Rave Master and he had been searching for Plue for 50 years. The old man tries to fight but due to old age he can't and the Rave doesn’t react to him anymore, much to his shock. He then asks Haru to run away and take the Rave with him. But, in a desperate struggle, Haru fights with all of his will and suddenly, the Rave reacts! He defeats the bad guy with the power of Rave. And so, from that point on, it becomes clear that he is the new Rave Master. His groovy adventure thus begins with the mission of destroying the Demon Card and the Dark Bring, and ultimately to restore peace in the world. The Similarity: With a world drowned in a sea of chaos and anarchy, Rave Master has a scenario that is similar with Nanatsu no Taizai. Both anime feature a gigantic adventure filled with the seriousness of having the world at stake with a bit of hijinks and fun on the side. And most of all, the uncanny similarity lies in fact that both stay true to their action-adventure theme while splashing a great serving of comedy, drama, and romance at the same time. The Story: Mondaiji-tachi ga Isekai kara Kuru Sou Desu yo?—also known as Problem Children Are Coming From Another World, Aren't They?—is the story of how three humans with peculiar supernatural abilities are summoned to a world known as Little Garden in order to help an unnamed community rise up for its own survival and defeat the Demon King. Given the fact that the three humans—Izayoi Sakamaki, Asuka Kudou, and You Kasukabe—are bored and fed-up with the regular world, they all willingly accept the opportunity that the world of Little Garden offers. The Similarity: What makes Mondaiji-tachi ga Isekai kara Kuru Sou Desu yo and Nanatsu no Taizai similar is that the main characters don't have cliched beginnings. They start out strong and powerful so that the usually boring moments of training and growth are bypassed. As a result of that, the story progresses much better and is more focused on the climatic scenes and the battles. Not to mention both anime are excitingly formed and the story and characters can really draw in the viewer. Mondaichi-tachi ga Isekai kara Kuru Sou Desu yo might not be very in-depth in terms of conflict and predicaments (well, at least for the first season) as opposed to Nanatsu no Taizai, but, it does keep viewers glued with its unpredictable nature and highly-anticipated battle scenes. The Story: The world may cast a peaceful facade but, what lies on the surface might not exactly be the same as that which lies deep within. When Tatsumi sets out to look for a high-paying job in the capital as a soldier, he awakens to the fact that the capital is actually the real threat to what he has been protecting his whole life. He discovers the peaceful façade of the world was merely a fake mask that hid the cruelty and atrocity inside. And so, in a certain fateful encounter, he stumbles upon the assassin group Night Raid, whose goal is to vanquish the evil inside the capital. Witnessing his luck in evading death and showing an important quality of assassins in him, Night Raid recruits Tatsumi and proceeds with the mission they all want to fulfil as soon as possible. It’s to end the atrocities and bring peace back to the world. The Similarity: If we have the Seven Deadly Sins in Nanatsu no Taizai, then we have Night Raid in Akame ga Kill! Both sets of main characters are seen as the villains, when in fact they are the ones who are keeping the peace and balance in the world. In which case, both of these anime imply that the real threat is that which we think is the most trustworthy. There's no such thing as absolute good or absolute evil, there's always more than one side to everything. The Holy Knights of Nanatsu no Taizai and the Capital Government of Akame ga Kill are supposed to be the ones enforcing the law and safekeeping the peace, but it turns out they're actually the root and source of all problems. 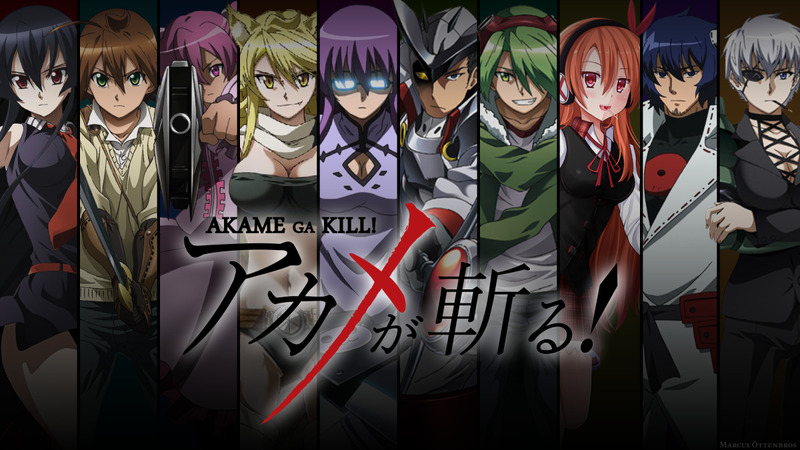 If you enjoy Akame ga Kill, you can check out this list of similar series. Series creator Takahiro originally planned for the story to be a visual novel before releasing it as a manga. The Seven Deadly Sins fits squarely within the fantasy adventure genre. This is one of the more popular genres out there with a wide variety of series within it. 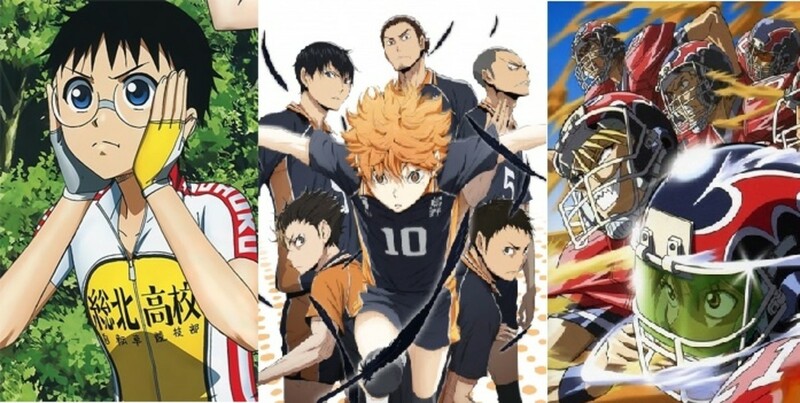 The following are some anime that, while vastly different in tone, fit within the same mold as this show. 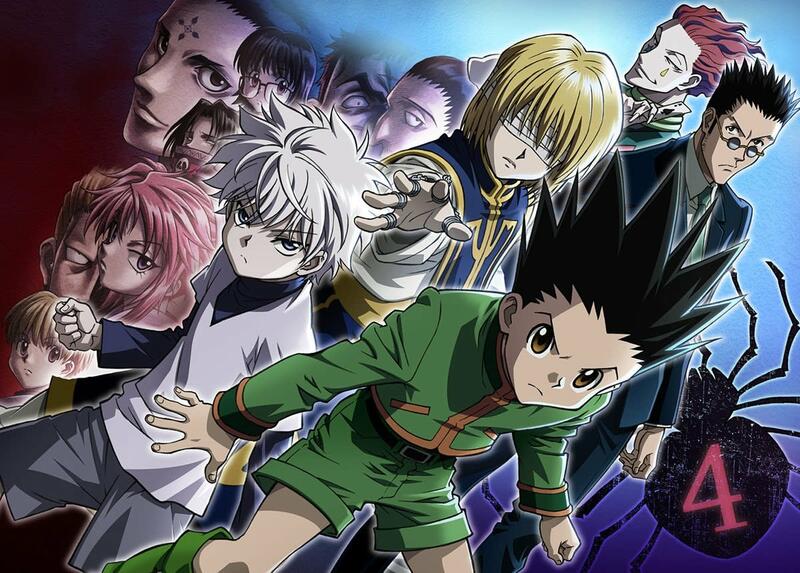 The Story: Gon Freecs is a boy whose ultimate goal is to search for his father who happens to be an elite hunter. Hunters are among the highest class of people in the world who enjoys privileges inconceivable to normal people. But getting into the trade is a ginormous hurdle since it considerably risks one’s life through a really difficult test known as the Hunter Exam. Having this in mind, Gon gives the test a shot because he believes that it’s the only way to start his search for his father. 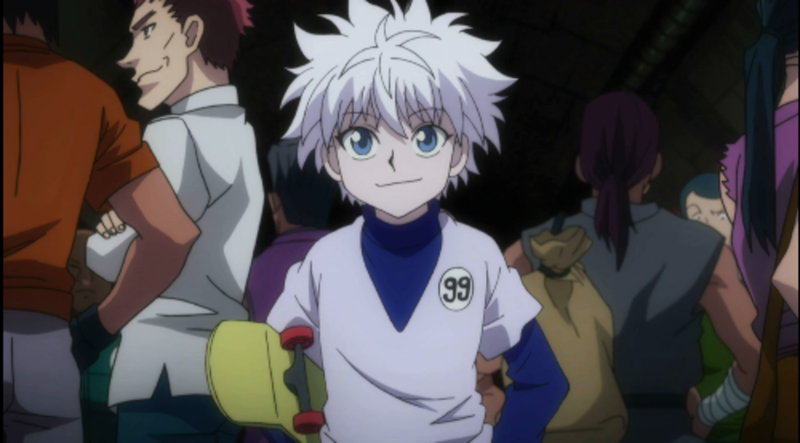 Along with an assassin kid named Killua, a young man who aspires to be a doctor named Leorio, and a member of the tragic Kuruta clan named Kurapika, Gon takes the near-impossible Hunter Exam to jumpstart his grand adventure in a world full of mystery and danger. If it's adventure you like, then you'll find Hunter X Hunter in the same league (and perhaps above) as Nanatsu no Taizai. Both delve into dangerous worlds cloaked in mystery and uncertainty. Both are fun and enjoyable whilst having climatic action scenes in full glamour and anticipation. For every step you take in the story of both anime, you'll find yourself getting so absorbed that you just won't be able to stop watching and ask for more. And if you are looking for more, you can check out this list of anime similar to Hunter X Hunter. The 2011 was originally planned to run for only one season with 26 episodes. It was eventually decided to give it a longer run with 148 episodes. The Story: When magical dungeons known as labyrinths started to appear throughout the world, many people began to explore them. And when news of vast riches and powerful vessels contained in the deepest levels of the labyrinths spread like wildfire, more and more people risked their lives just to conquer them. And thus, the labyrinth conquest began! 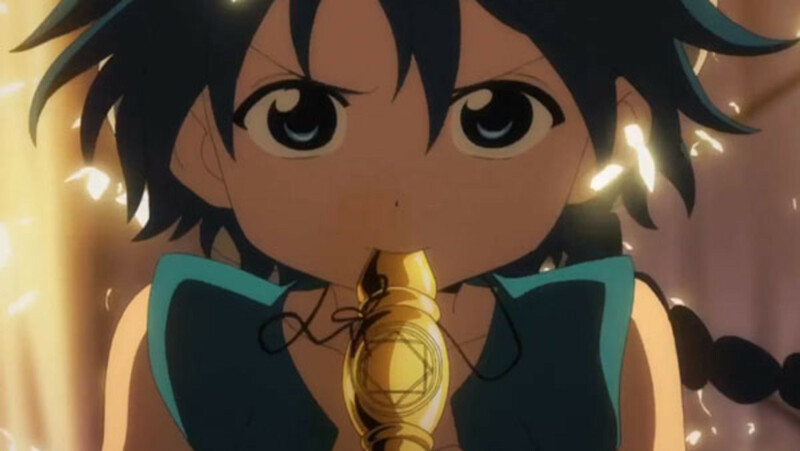 In a faraway town, a strange boy named Aladdin is travelling with a strange magical flute for reasons unknown. There he was seen by Ali Baba, a young man whose eyes are open to the wrong-doings of the world and thus wants to correct everything. In order for Ali Baba to fulfill what his kind heart desires, he must conquer a dungeon and gain wealth and power for his cause. Thereafter, Ali Baba just suddenly found himself starting his first dungeon conquest with Aladdin. And from them on, both of them were bound to an adventure around the world—discovering the truth and bringing things into balance. The Similarity: In both anime, there's something really wrong in the world. 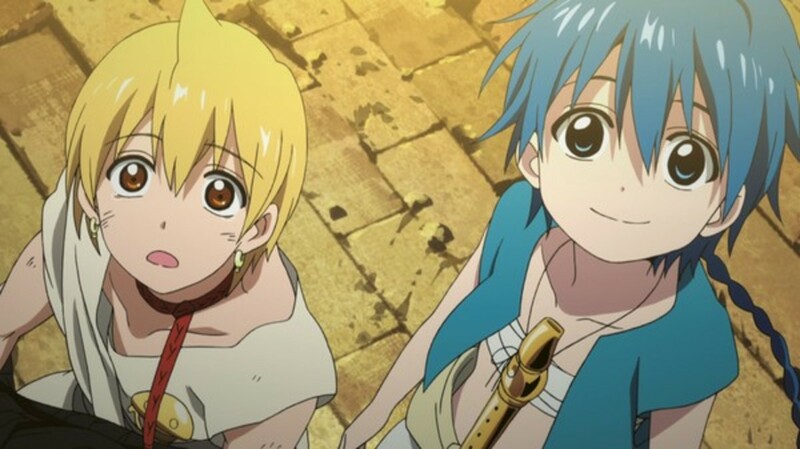 While Nanatsu no Taizai is overrun by corrupt and power-hungry Holy Knights, Magi is slowly being devoured by evil beings whose sole purpose is to destroy the balance of the world and plunge it into depravity. In either case, it's the main heroes' job to put a stop to the conspiracy that's happening in the background and bring peace to the world. 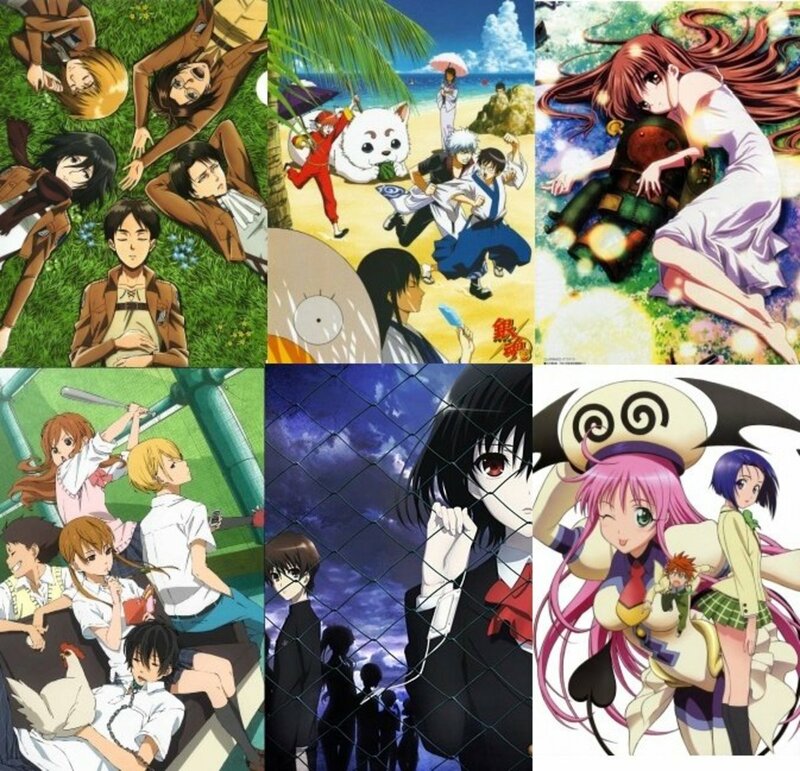 If you enjoy this series, consider checking out this list of similar anime. The character of Aladdin was originally planned to be a girl. The Story: Bliss, elegance, riches, security, happiness—ever since the day she was born, princess Yona lived the high-life of luxury in her kingdom. But, on her 16th birthday, everything in her life changes forever. Her father is killed by the man she loves the most, and the whole kingdom is usurped in the process. With all the sudden misfortune, she barely escapes the kingdom with her loyal servant, Hak. Beginning on that unfortunate day, Yona vows that she will fight back and look for strong and trustworthy allies to reclaim the kingdom she loved and restore it to its former glory. Thus, her old life disappears and a new start yields a better and stronger version of herself who will fight for the future. The Similarity: Nanatsu no Taizai has princess Elizabeth seeking the Seven Deadly Sins in order to reclaim the kingdom from the corrupt Holy Knights. 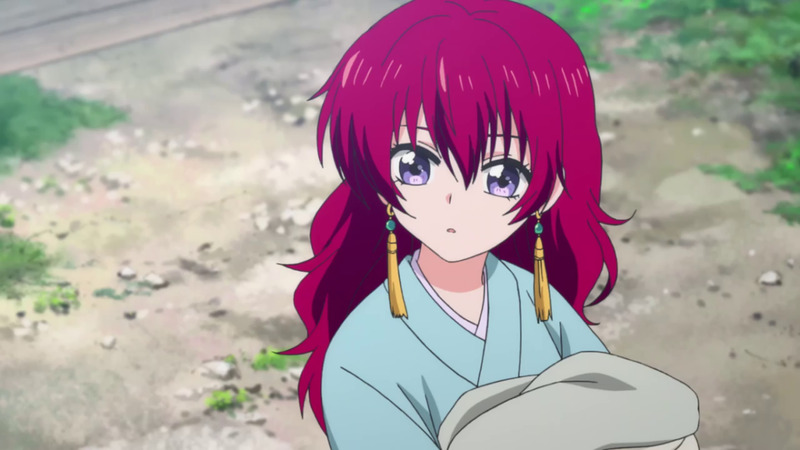 In Akatsuki no Yona, it's princess Yona who's looking for allies to reclaim her kingdom that was stolen by her most-trusted childhood friend, Soo-won. It's the same premise—two princesses driven away by their respective kingdoms by traitors are in a search for allies who will help them to step up and fight for the kingdom they really treasure. If you are still on the fence about this anime, you can read a review about it here. 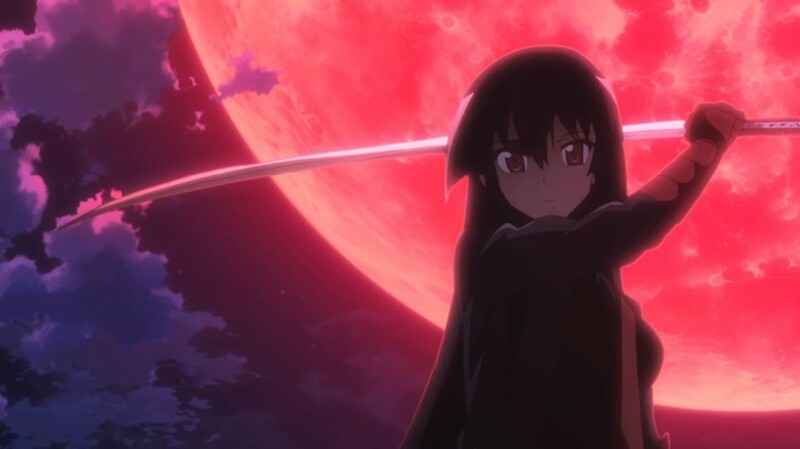 After watching the show, I felt like it was a mix between Akame ga kill! (plot) and Fairy Tail (overall vibe). And behold, both of those are on the list. So I am looking foward to seeing some of the other animes on here that I haven't seen yet. @A There you go. You mentioned it. I totally forgot. Ooopsies. 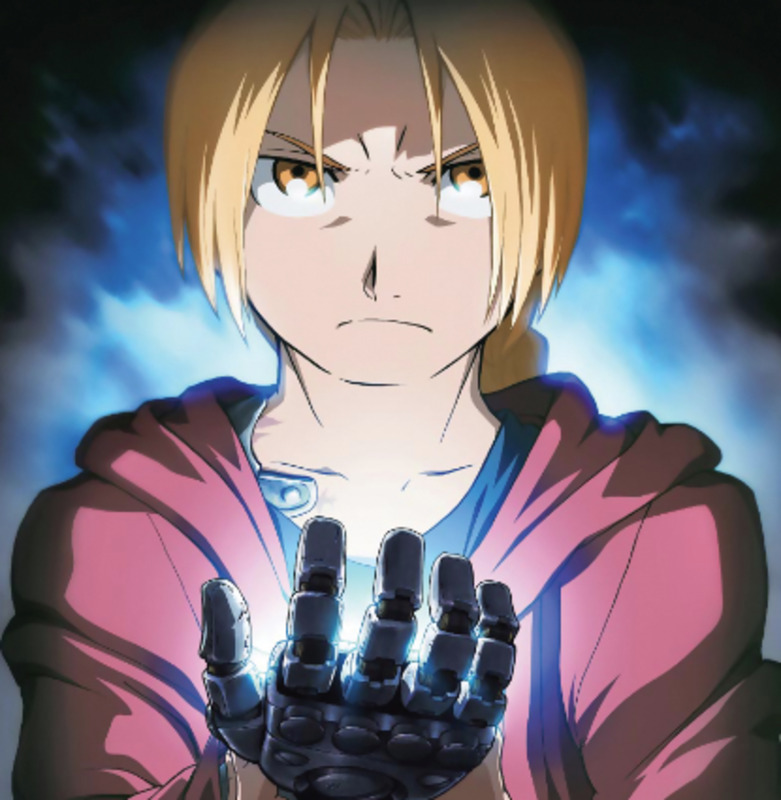 How has it not meantioned fullmetal alchemist brotherhood which i basically like the reverse of this, as in the seven deadly sins are actually bad.